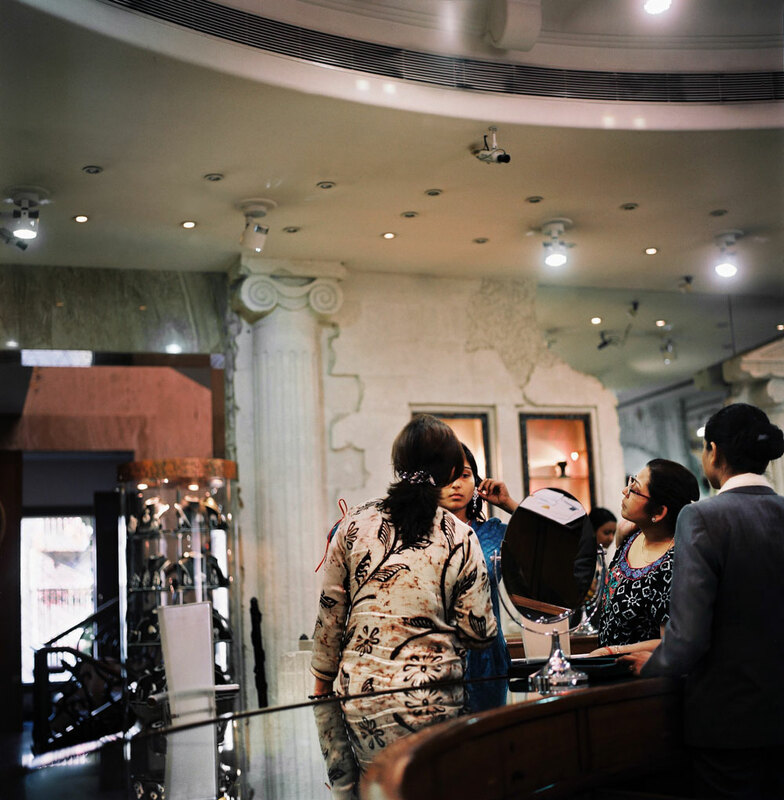 A girl trying a pair of earrings inside a jewlery store. Many areas in Mumbai have been economically developed. The Bandra Waterfield Road for example is a place full of jewlery stores for the rich.